Looks like we will not get to see the successor of MX5 after all. Instead, Meizu ME5 is going to be the name of the upcoming smartphone from the Chinese OEM, and the latest benchmarking leak of the handset shows that the device is ready to duke it out with the rest of the Android flagship smartphone flock. Let us check out the benchmarking scores in order to see how well the smartphone is going to do when it is officially launched. According to a source hailing all the way from China, Meizu ME5 is able to get a score of 69,000 points in the popular benchmarking application. 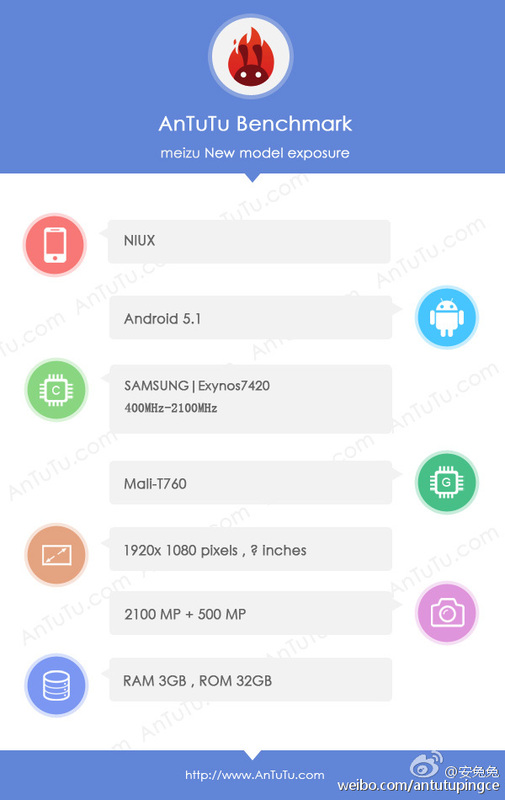 Coming to the hardware specifications, Meizu ME5 sports Samsung’s Exynos 7420, which is not surprising at all given that MX4 Pro, the company’s previous flagship smartphone, was powered by an Exynos 5430. One reason why the device could not overtake Galaxy Note 5 in the benchmarking tests was because it has 3GB of RAM, which is a whole gigabyte of RAM lower than the latter. However, Meizu ME5 is able to gain a considerable lead over Galaxy S6 Edge and Galaxy S6, primarily because the upcoming handset renders a resolution of 1080p, compared to the 1440p present on the aforementioned Galaxy S6 duo. The higher the resolution, the more stress is going to be exerted on the battery, processor and of course, the GPU. Coming to the remaining hardware configuration, Meizu ME5 will sport a 21MP rear camera sensor that will be complemented by a 5MP front shooter. Unfortunately, no details have been provided as to which company the camera sensors belong to. Since Meizu MX5 was incorporated with a 20.7MP Sony IMX230 sensor, we have reason to believe that the sensors present on ME5 will belong to the Japanese firm. There is 32GB of internal storage present, but no mention of a MicroSD card slot, indicating that the Chinese smartphone manufacturer has taken the same approach as it did with its MX5; shipping it out with no expandable storage option. 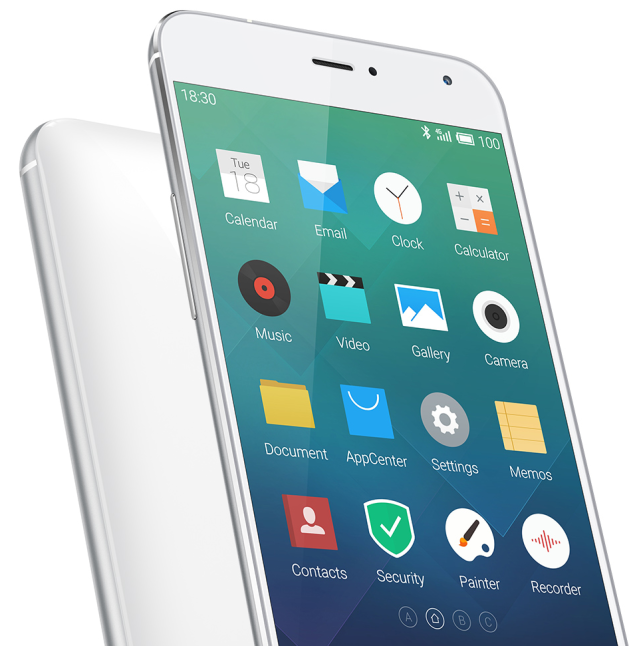 As for when we can see the smartphone in market shelves and retailers, it is possible that Meizu ME5 will be shipped during the end of this month. Unfortunately, this is all the information that we have at this current time. As far as the smartphone is concerned, what did you think of the scores?